Sad news out of downtown. The owner of the Great Jones Cafe, Jim Moffett, died last Tuesday, July 10, EV Grieve reports. According to the blog, Moffett’s brother Don confirmed the news this Sunday but didn’t name the cause of death. The restaurant has been closed for a few days and its phones are going unanswered. Moffett was 59, the blog writes. Last summer, the 35-year-old restaurant was rumored to be closing permanently but ended up reopening with renewed vigor. 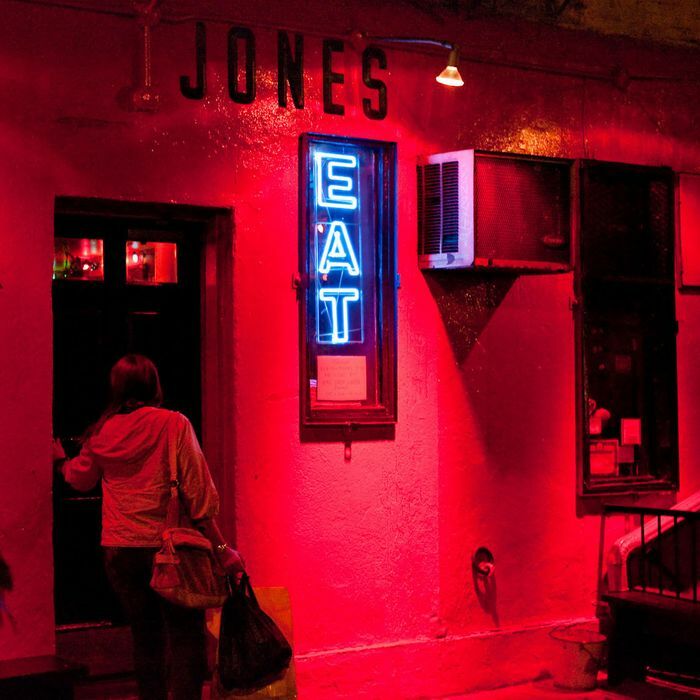 There were conflicting reports from employees about the permanence of the closing, which a Facebook update called “a week off.” The Great Jones has been a downtown fixture with a devoted clientele, and its seemingly imminent end caused fans to flock and a chorus of sighs. One notable staffer in its storied, decades-long history is Pavement and Sonic Youth bassist Mark Ibold, who tended bar and worked as manager. (This is how Ibold met Great Jones fan Peter Meehan and became a Lucky Peach contributor.) Here’s hoping someone comes forward to carry the torch of the jambalaya.